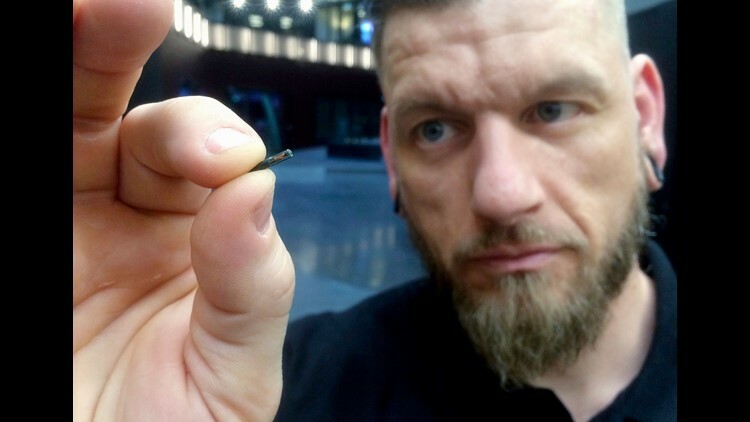 Groups in the U.K. representing businesses and workers are questioning plans published in a report Sunday claiming companies were preparing to microchip employees. According to The Telegraph, a Swedish company called Biohax said it was in talks with multiple British legal and financial companies to provide human chip implants to employees for security. "These companies have sensitive documents they are dealing with," said Jowan Österlund, the founder of Biohax in an interview with The Telegraph. "(The chips) would allow them to set restrictions for whoever." In a statement emailed to USA TODAY, the Confederation of British Industry, which represents more than 190,000 businesses in the U.K., questioned the need for microchipping workers. "Firms should be concentrating on rather more immediate priorities and focusing on engaging their employees," said the organization. Frances O'Grady, General Security for the Trades Union Congress, said the practice would give companies more power and control over employees. "We know workers are already concerned that some employers are using tech to control and micromanage, whittling away their staff’s right to privacy," O'Grady said. The business of human chip implants first generated buzz in July 2017, after a Wisconsin company said it would offer employees microchip implants to scan into the building or buy food at work. The chip, which is about the size of a grain of rice, uses near-field communication readable at a compatible terminal, similar to how a card reader might work. Biohax said the devices have been tested for decades and cleared by the Food and Drug Administration. The chips have already been in use by residents in Sweden, the home country of Biohax.